INDUSTRY.co.id - United States - Famous celebrity, Kim Kardashian recently met United States President Donald Trump on Wednesday (30/5) yesterday. Her visit aims to express his views on prison reform to Donald Trump and other officials, including Jared Kushner's advisor. Kim Kardashian is seen visited the White House, as quoted by CNN. When rapper Kanye West's wife arrived, an assistant was reported sitting in the front seat of a car recording a media entourage using a cell phone and Kim greeted the media crew who had been waiting for her. It is also seen in the president's curiosity, Donald Trump in his personal account on Twitter. 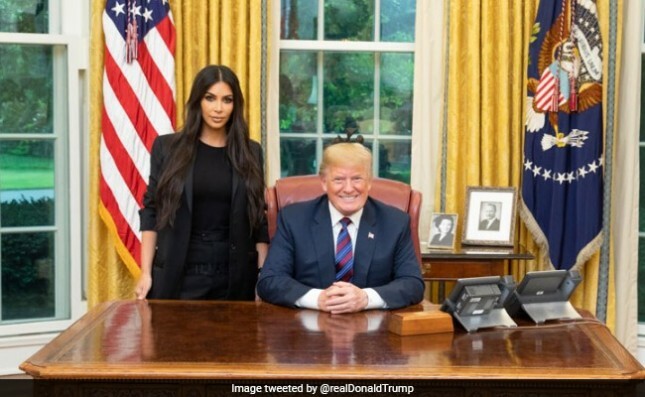 "An extraordinary meeting with @KimKardashian today, talks about renewal and imprisonment," Trump writes, with his picture included Kim Kardashian in the Oval Office. The mother of three children filed a pardon for low-level drug abuser named Alice Marie Johnson who has been detained for 20 years. 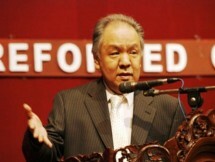 On the same day too, Kim had carved a speech for Alice on her Twitter account. "Happy birthday Alice Marie Johnson.Today for you," writes Kim Kardashian. As per his encounter with Trump, he also gave a statement regarding the discussion today. "I want to thank President Trump for the time this afternoon. Our hope is that the President will grant clemency to Alice Marie Johnson who is serving a life sentence for a drug offense for the first time, without violence, "Kim Kardashian said late on Wednesday. Kim Kardashian also revealed that she and everyone involved are optimistic about the future of Alice Marie Johnson and hope that everyone who suffers the same with Alice will have a second chance in life.